Awaken your inner superstar and connect with the most playful part of yourself. JP's cool-meets-quirky class lets you rock it out, with no inhibition. All my complicated women, put your hands up! Meet JP. His story is one of duality and radical love. Half white (hi mom) and half black (hi dad), JP’s childhood’s experience was always interesting. Growing up, JP’s mom worked in public education and ran her own ballet studio; his dad was a legendary basketball coach of a big-deal university. Surrounded by 4 foot tall trophies and enormous sports memorabilia, JP giggled louder than most boys at practice and preferred tutus to jerseys on game day. But his story isn’t what you’d expect. JP didn’t have to “run away’ and he was never forced to choose. His very-masculine dad drove him to his dance lessons, cheered him on at his recitals, and proudly hung up photos of JP doing splits in tights. Yas, dad! 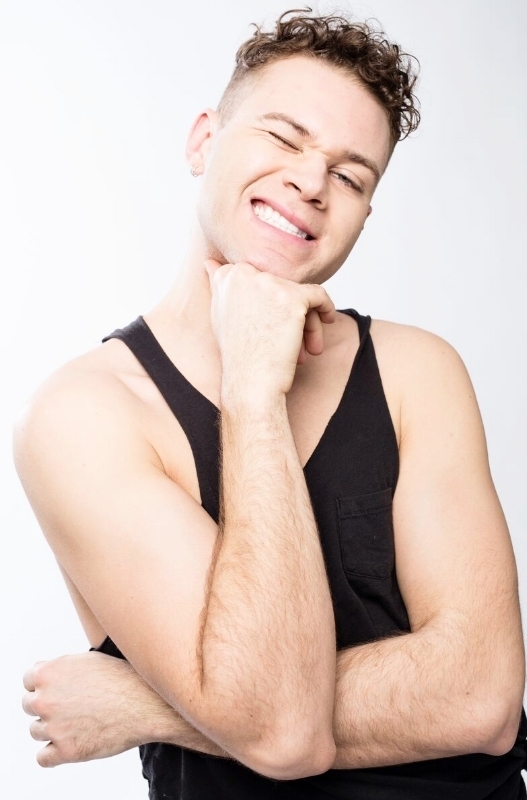 Here’s another thing to know about JP: he’s a fitness instructor and dancer who has a love affair with food. Specifically pizza. Yes, his relationship with carbs may have led to a few ripped leotards. No, that didn’t stop him from doing what he loved every day. He was the kind of kid who shamelessly invited friends to study at Panera just because he wanted a bread bowl. Is this resonating?! JP loves teaching at ((305)) because he wants to share what he does best: helping you connect with your inner child, act a fool with no inhibition, and be unapologetically yourself. When JP isn’t teaching at ((305)), you can find him dancing up a storm — um, we just found out his favorite class is Heather’s Rigg’s slutty jazz (Slazz) omg — trying a new restaurant with his sister in the city, and hanging out with his one true love, pizza. PS Lady Gaga, if you’re reading this, please come to JP’s class! Kthanx.